All things are made up of elemental parts, without any one of which, the whole would not be complete. A latte is coffee and milk; a flower is stem, petals, and roots; a person is body, mind, and soul. From the infinitely large to the infinitesimally small, this principle rings true across God’s creation. 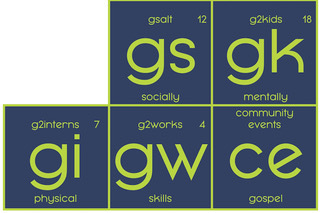 At Graffiti 2, we’ve been thinking about our essential elements. Our programs are guided by our mission to Revitalize, Revive, and Revolutionize the Mott Haven neighborhood of the South Bronx and beyond. Our vision for our people is that they become revolutionized revolutionaries —people changed by the power of Jesus that can affect that change in others. We know that programs don’t change people, people change people. Read some first hand testimonials by clicking here. 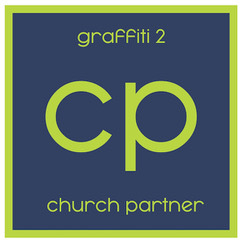 Graffiti 2 would not exist without our partners—individuals and churches that support our work through monthly commitments and one-time support. Will you consider participating in our Week of Giving, April 30-May 4, and becoming an elemental part of our work? 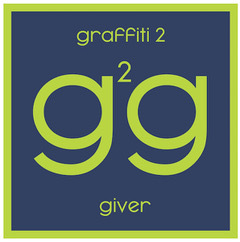 Will you make a one time gift to Graffiti 2 as part of our Week of Giving to help us reach our Week of Giving goal of $10,000? To give online, click the button at the top of the page or by clicking here. 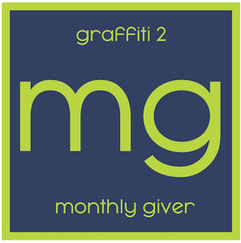 Will you make a monthly gift to Graffiti 2 and help us reach our Week of Giving goal of adding 30 new monthly partners? Our online giving portal has new options to create and manage monthly giving. Find out more by clicking the button at the top of the page or by clicking here. 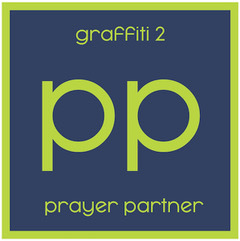 Will you talk with your church leaders and find ways for your church to Pray for, Participate with, and Provide for Graffiti 2? 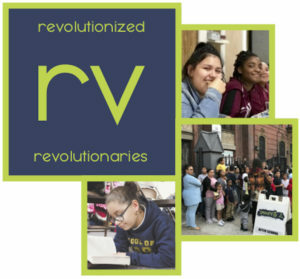 Download and print Week of Giving campaign at the top of page or by clicking here. Share it with your pastor, Sunday school teacher or your church missions committee. Will you make a commitment to pray for our work? Download the Week of Giving Prayer Guide with the button at the top of the page or by clicking here. 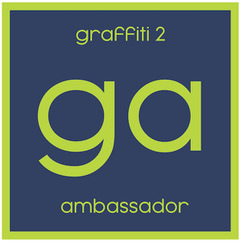 Will you spread the word about Graffiti 2 through social media, passing on this newsletter, and inviting others to support our work?